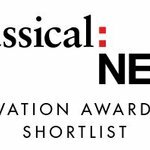 23 expert members of our international nominating committee have narrowed down the 28-strong longlist to create the Classical:NEXT 2018 Innovation Award Shortlist of twelve of the most forward thinking and exciting projects in the classical world today. The winner of the award will be determined by an online vote open to the entire Classical:NEXT community. Check our shortlist and vote for your favourite projects now.